If you're extremely impatient, don't start a garden because nature is slow, gardening takes time and it can't be rushed. However, if you're fast and do 10 things at once and want to learn the character and wisdom of patience and tenacity, gardening is the best place to start. Gardening will teach you that for every hour you put in you have to be thankful for what you get, and that is a good lesson for all of us to learn. Sometimes you'll get slow growth, sometimes grasshoppers, sometimes your crops will grow perfectly for a couple of months and a storm will wipe them out. But as the years pass and you get better at it, you'll probably celebrate abundant harvests and you'll have more than enough. Let's be clear about this from the start. Vegetable gardening is hard work and it doesn't always go as planned. But the main point for all new gardeners is this: you MUST enrich your soil before you start planting. If you plant seeds or seedlings in soil that is virgin soil, or soil that hasn't been worked for years, they won't die but they probably won't grow well either, and they certainly won't thrive. This is how I look at it. If it's hard work to setup a new garden, why not maximise your chances of success by enriching the soil and doing it right from the start. Really, you will quadruple your chances of success with this one step. No amount of fertilising later will replace the benefits of planting into good rich soil. Enriching your soil before you start is important. I could really stop writing this now because if you enrich your soil, plant heirloom seeds or seedlings, use common sense and water your plants, almost all of you would have success. But let's take it slow and keep going, afterall, I do want to support and encourage all of you who want to grow food to do exactly that. Following is part of a post about starting a new vegie patch I wrote back in 2007. It's pointless to rewrite is but I'll will add to it. As a society we've moved away from viewing the earth as the source of our food. We've become reliant on whatever is presented for sale at the supermarket and while it's appealing to have that convenience, those supermarket vegetables do not contain the nutrients that will be ever-present in your own back yard produce. 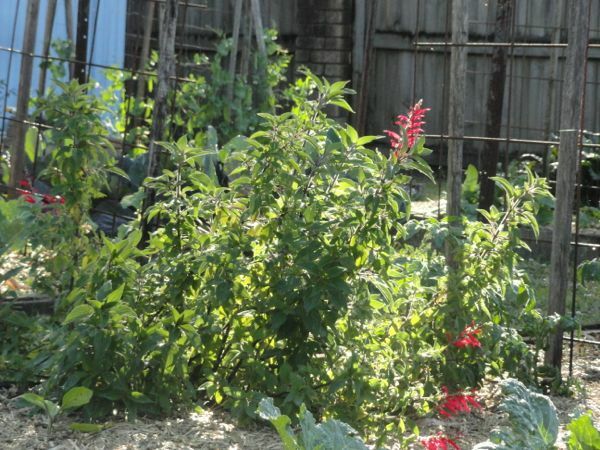 Growing vegetables and fruit is also a very worthwhile skill to have. Who knows what the future will bring. There may come a time when you will need, and not just want, to grow your own vegies. Not everyone can grow, or will want to grow, a vegetable garden but for those of you who do, you’ll find it to be a great way to connect with nature and the seasons. If you have some space that will be suitable for growing food, I encourage you to set out on this journey of discovery and full-flavoured organic food. If you live in your own home, a vegetable garden and a few fruit trees is a wonderful investment in your future health and will enable you to reduce the amount you spend on fresh food. If you live in rented accommodation, growing herbs, vegetables and fruit in containers is an activity that will provide a source of cheap organic food that can be a rewarding and enlightening pastime. And whether you own or rent, using your land to produce food will give you a better return on your investment and the money you pay out to live where you live. Organic growing is back to basics gardening the old fashioned way. If you decide to grow organically, the food you produce will be healthy, with no synthetic chemicals or poisons added, and it will be the freshest food possible. I often wonder how old those supermarket vegetables are and where they’re from, but something tells me I don’t want to know the answer. One thing is certain, the fresher the food when you eat it, freeze it or preserve it, the better it is for you. And remember, the look of something is no guide - some supermarket produce looks perfect but it may have been in storage for months. When you start growing your own food you'll soon realise that an orange with a few marks on the skin or a carrot that is twisted still tastes so much better than what you can buy at the shop. Perfect looking vegetables and fruit usually means they've had a lot of help from fertilisers and poisonous insect sprays. 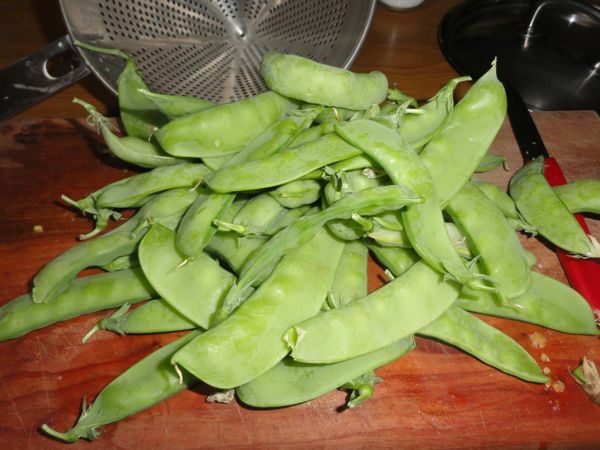 WHAT IS THE FIRST SIMPLE STEP TO BACKYARD VEGIES? Where will you plant? Vegetables need about eight hours of full sun to grow to maturity. 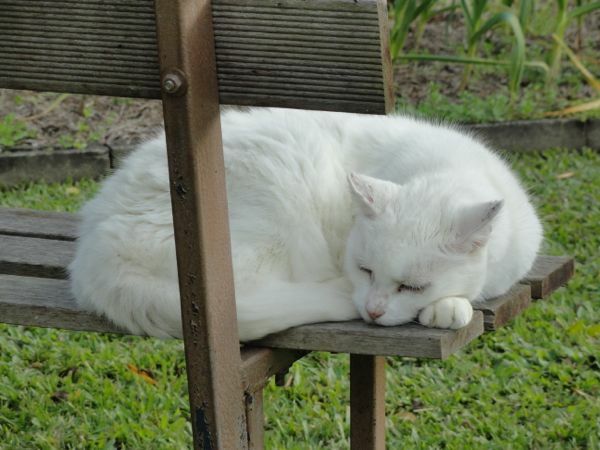 If you're in the sub-tropics or the tropics, vegetables, particularly the fruiting types like tomatoes, capsicum/peppers, cucumber and many of the green leaf vegies, will usually cope well with shade at some point during the day, as long as they've had the majority of hours in full sun. When you choose your spot, work out where the shade will move to during the morning and afternoon. You can do that by poking a long stick in the ground and watching the shadow move during the day. Use that knowledge to work out where to plant tall or trellis plants such as corn, beans, or cucumbers. 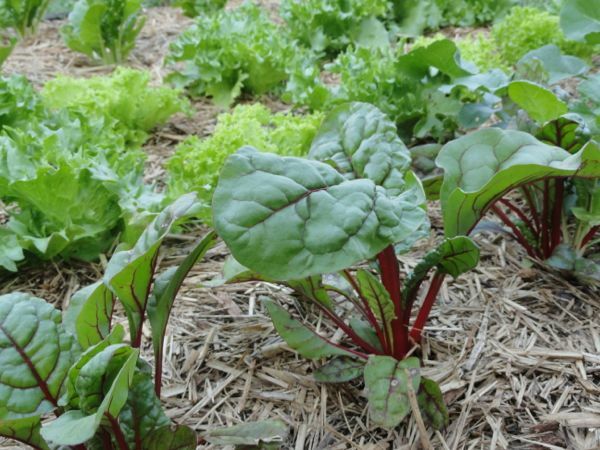 These plants will shade those behind them so position your plantings to give maximum sun for all or if you want to provide shade for some delicate lettuce, plant them on the shade side of your taller crops. Work out what you are capable of growing - in relation to space and climate. 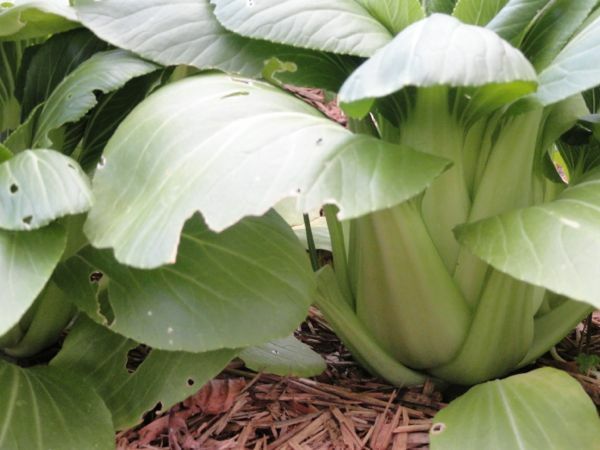 If you have a small backyard or a unit, you’ll be looking to smaller crops, vegetables that will grow well in containers, sprouting and mushrooms. If you have a reasonable sized backyard with a sunny area for a vegie patch, you could plant almost anything that is suited to your climate. So, work out what you like to eat and grow the vegetables that are expensive to buy or the ones that are best fresh – like corn, lettuce, celery, peas, tomatoes, cucumbers and potatoes. You also need to locate the patch close to a hose or a tap so you can water the garden when it doesn’t rain. If you have a water tank, your vegetables will benefit from the rainwater, so make sure the tank hose can reach the vegetable garden. If you don't have a tank, look into what rebates you're offered in your part of the country and take advantage of them. It is quite an easy exercise to harvest the rain from your roof to be used later on your vegetables and fruit. It is the ultimate in recycling. You can grow a wide range of vegetables in containers. Try to pick up some polystyrene boxes from the greengrocer or supermarket. You could also use plastic garbage containers or buckets, as well as conventional plant pots. Make sure whatever you use has adequate drainage holes, if they don’t, poke or drill some in. Fill the container with good quality potting mix, if you have compost or aged cow/horse manure, use about a third compost, manure to two thirds potting mix. Don’t be tempted to save money by using garden soil as it won’t drain properly and your vegetables won’t grow. How do you choose what to grow in the first year? Sit down and make a list of what fruit and vegetables you eat. If you stick to the rule about not planting too much in the first few years, you'll have to pick just a few from that list. Think about what are the most expensive or hardest to get, and grow those. Or, if you eat a lot of salad, grow lettuce and tomatoes, if you eventually want to preserve your excess vegetables, grow what you want to preserve - such as tomatoes, cucumbers, beetroot etc. Make sure you have a planting guide for your area because it doesn't matter how much you want something, it won't grow if it's not the right season. So, with your growing guide and your list of what you eat, make your choice. Don't choose more than four or five different things in that first year. I want you to keep on gardening and if it's too difficult, you'll give up. When you think about it, a seed is an amazing thing. Given the right conditions, it contains everything necessary to grow into whatever species it happens to be. It’s a dried up hard packet of potential life. How good is that! Usually, the most thrifty way to grow vegetables is to grow from seeds. 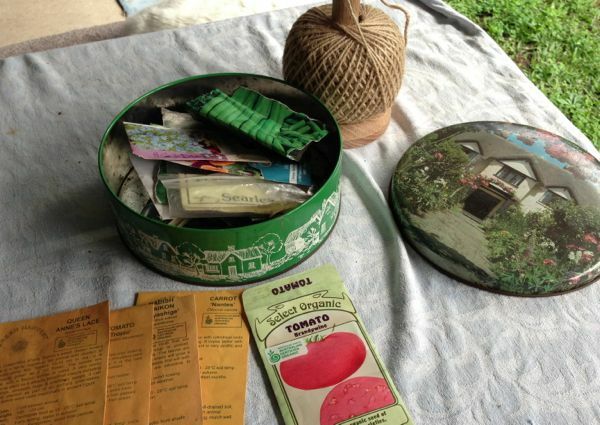 The most frugal seeds are those you save from last year’s harvest or swap with someone in your neighbourhood. You could also swap seeds online. It used to be common practice for families to have a collection of seeds they grew from each year. It was also common to swap seeds with family, friends and neighbours. The good thing about heirloom or open pollinated seeds is that every year you plant and grow them in your garden, then save the seed for the following year, the more they modify themselves to suit your climate and soil. I buy seeds from here but you should find a supplier close to where you live because the seeds will have been grown in conditions similar to your own. Do some research on what tomatoes will suit you and then buy them from a place close to you. Use some of the seeds you buy to plant in your own garden and swap the rest to get the other vegetable seeds you need. You’ll be able to build up a big bank of seeds doing this and your new seeds will only cost you a stamp and a trip to the post office. In the old days all seeds were open pollinated but as a result of pressure to produce standardised fruit and vegetables several decades ago, some seed companies started to hybridise. In effect what they did was to breed vegetables for specific purposes and size. In the case of tomatoes, old-fashioned tomatoes were no good for supermarkets. They had delicate skin that didn’t travel or store well and when trying to weigh a pound of tomatoes, two tomatoes where often well over a pound. So seed companies developed tomatoes with tougher skin (for transport) that were smaller and generally would weigh up as four to a pound. The problem was that when they were reinventing the tomato wheel, they forget to include the taste factor. When you taste a home grown open pollinated tomato it will taste like tomatoes used to taste, it’s a hundred times better than a supermarket tomato. Aside from the superior taste, open pollinated vegetables are capable of passing on exactly the same characteristics to each generation. If you use seeds from hybrid vegies, sometimes the seeds will be sterile and sometimes they’ll not grow to type. You might be expecting a medium sized sweet tomato and you’ll get a small bitter one. Hybrid vegies can throw back to any of the types used to create it. So in essence, every year you will need to buy new seeds instead of being able to save and grow the seeds from open pollinated vegies. I hope this has convinced you to start off with heirloom or open pollinated seeds. Don’t worry if you can only find hybrids when you start, but in the future, when you can afford it or when you want to eat food like your great-grandma did, go the open pollinated route. Don't run out and buy the best of everything until you know that you love to garden and will continue. In the first season, you can make do with borrowed gear or old garden tools from the recycle shop. Even when you decide to carry on your garden, these older tools are usually much better quality that newer ones that are made in China. It's probably wise in the first year to buy seedlings. At our local market we can buy good seedlings at around six seedlings for a dollar. At the nursery or Bunnings, a punnet (usually six) costs between $2.50 - $3.95. If you have a local market, check them before you buy them elsewhere. Check your prices before you buy. Try to buy open pollinated seeds early on so you can save your seeds from season to season. It cuts the cost quite a bit. Make sure you water well and use mulch. Water costs a lot of money because it's a precious resource, don't waste it. You can use bales of hay, straw or sugar cane mulch as a fairly cheap all round mulch. Those mulches will keep the water in the soil, will protect the soil from the sun, will help regulate the soil temperature and can be dug in if it's still sitting on the soil surface at the end of the season. It creates very good organic matter in the soil when dug in. We use organic sugar cane mulch here. It costs a bit more but we prefer to grow organic vegetables. Make your own fertilisers. There are posts on my blog showing how to do that. The garden is a great place to recycle egg cartons, newspaper, cardboard and kitchen scraps. Use what you have on hand and think of new and ingenious ways of developing your garden without buying everything you need. When you start, don’t be over ambitious. There will be a lot to learn and there is a lot work involved in bringing your crops to harvest. Vegetable gardening is not for wimps. Go slow to start and add a couple of new vegies every year until you’ve reach your vegetable growing goal. I think the most important piece of information I can give you about gardening is that you feed the soil, not the plant. If you dig a garden plot and plant vegetable seedlings in it, without enriching the soil in any way, you'll get vegetables, but they'll be small and miserly. You must - I repeat, you must build up your soil with organic matter before you start plating. 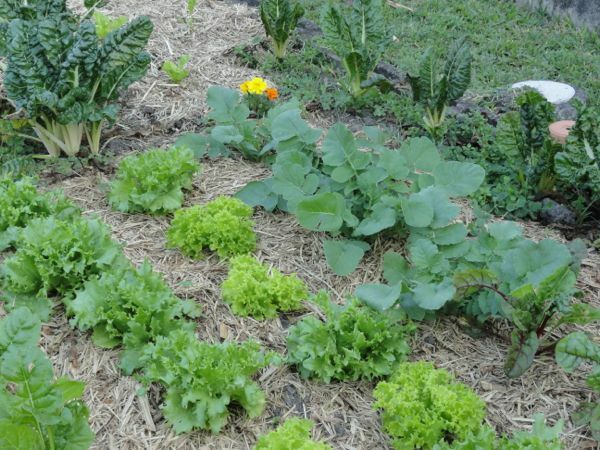 The more organic matter you have in your garden beds, the more abundant your harvests will be. This post is too long so tomorrow I'll finish off with how to dig, how to enrich the soil, the importance of compost and how to plant those first seedlings. In the meantime, save all your newspapers and set up a small covered container in your kitchen to save fruit and vegetables scraps. See you tomorrow. It was good to read this, thank you. I used to be the impatient type and my mum would always tell me to spend the money and time on building up the soil but I didn't listen to her for the first 15 yrs. But in the last 7 years I have put the effort into the soil and we reap the benefits from the harvests. It's so important isn't it! My husband is enjoying the novelty of peeing on our lemon tree at the moment. It really needs it but he'd never heard of doing so before. I'd also add that community gardens are a great way to start gardening. You're surrounded by like minded folk who are happy to share their skills and knowledge. The bonus being you will still walk away with great harvests despite your own lack of experience. I live in a very multicultural area and love learning the different gardening/farming techniques of different cultures. Thank you for this Rhonda, it is very timely. Starting a vegetable garden is something I've been very keen to do this year after my initial attempts failed years ago. I feel more confident with your guidance. Thanks Rhonda, this is so comprehensive. I'm totally stuck on idea #1: amending the soil. I couldn't agree more. We dug a few inches into the compacted Arizona dry dusty dirt and then mixed it with better soils from under some nearby trees and some good compost. It didn't take that much because we were planting a lot of desert adapted plants. The beds/mounds were above ground some and rimmed with big rocks we dug up. (Two hand sized) Just that little bit of amendment made all the difference in the world and our plants produced really well on very little water. Thank you Rhonda! We are trying to renovate our garden space, so this is very handy. Thank you so much for this. It reinforces my idea of what I'm doing. I was just thinking this morning as I did my rounds of the vegie patch and fruit trees that patience is a virtue when it comes to gardening. One thing I'm learning is to keep a diary for my garden. If I write down what I've done, when I did it, and how well it worked, next year I can learn from it - things like "don't even THINK about planting those tomatoes until you are SURE there will be no more frosts" are much more convincing when you learn them the hard way. Thank you for this Rhonda helps me out with the question i asked in the forums (simplelivingmum) I think i will end up buying the warm weather starter seed pack. It's great to find a place that sells organic ones :) I'm so excited now for your next post about setting up the soil. I love the lessons that our vegetable garden is teaching my children - teenage boys who are in danger of being overtaken by this tech-hungry fast paced society. They have learnt patience, to take joy from small things, to appreciate nature that does it's job so quietly and efficiently, and the wonder of a simple earthworm, and the power of those worms multiplied by a thousand that we just found in the compost bin we relocated. They value the circle of life (they voluntarily bring their apple cores home from school to add to the compost) and to always get the most value out of everything, including the scraps from a wonderful dinner that go to the chickens or the worms. They have learnt that you value something more that you have put time and effort into - food that you grew yourself, plants that you nurtured or chickens that you cared for. There is great joy and pride in that feeling. Thanks for starting up this series, Rhonda. I was going to ask you to make a few comments about gardening for us 'senior citizens' but I see you have put some posts on the DTE forum so thank you for that. Thank you for this comprehensive guide to successful vegie growing. I can see there are several areas on which I can improve. Thanks for the great tips. I've just found your blog and wish I had found it earlier. Looking forward too more great reading. Thank you for this article! I love that everything you write makes so much sense and is easy to understand! I'm excited to try out strawberries, zucchini and tomatoes this year...I think that will be enough in our little garden bed. Hopefully by the time we grow up on our land I'll have a little more experience! This is going to be a very comprehensive series and so timely - I think everyone should be growing as many vegetables as they can. I like the fact too that you stress that there will be failures. So many people give up at the first problem. I have just posted a tutorial on how I process my comfrey leaves to make a concentrated fertilizer. I like this way as it is stink free! :) I hope you never stop writing your blog - you are an icon in the blogging world. I'm getting involved in the vegie gardening this year Rhonda so thank you for this because, although these days I'm not extremely impatient, I amimpatient and this is what I needed to hear. Rhonda, great topic! Our yard is full of "sad soil" that I have been slowly trying to amend over the past 7 years. Our yard sat, unused and unloved for nearly 30 years before we bought it. It only had an inch of topsoil put on it when it was built and sad to say, the previous owners were not yard/garden people. Amending the soil is the best thing anyone could do for their yard. 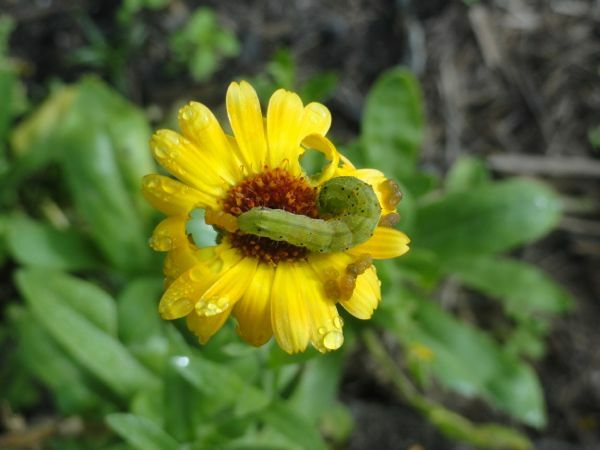 It isn't hard, you just need to think outside the box that you've lived in and remember that all plant life can be used in a compost pile in your yard to produce amendments to add to your soil the following year. I look forward to your future blog entries. Thank you and I appreciate you. After some failures and poor harvests, I began to understand about enriching the soil and ever since I have been trying to do so as much as I can. Earlier this year I learnt the importance of mulch (wanted to find a use for all the grass clippings) as the tomatoes did really well with just that little extra help. I also realised that I was over zealous with my planting of fruit trees. As they reached maturity I noticed that two in particular were blocking out a lot of potential light from my veggie area. Last weekend we cut them right down and it is already making quite a difference. We are replacing them with pigeon peas and sorrel which will actually increasing our yield from that area. I wondered if you could say something about how to plant for a continuous yield. When one crop is already in the ground and after a period in their growth you plant for the other harvest. I have found that I break the cycle and have to buy or do without whilst waiting for the next harvest. Meant to add - Your garden is looking marvelous as usual.